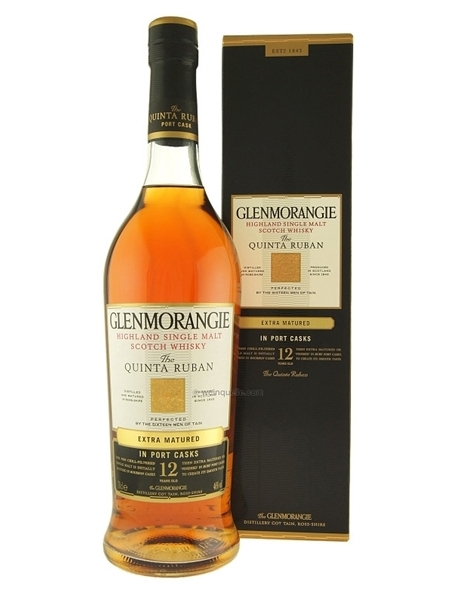 Glenmorangie Quinta Ruban (~€58) is the darkest and most intense whisky in the extra-matured range. Glenmorangie Quinta Ruban has spent 10 years maturing in American white oak casks, before being transferred into specially selected ruby port pipes from the Quintas or wine estates of Portugal. This release is bottled at 46% ABV.